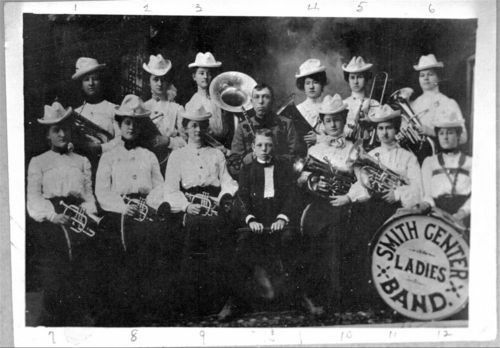 This studio portrait shows members of the Smith Center Ladies' Band in Smith Center, Kansas. There is also a man and a young boy in the photograph. The instruments are primarily brass instruments. There is a bass drum in the lower right side of the photo.